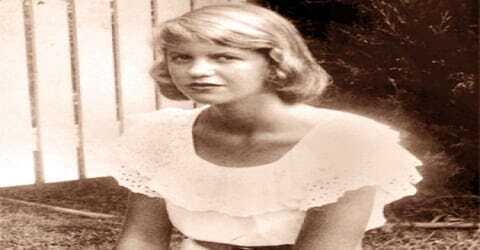 Sylvia Plath – American poet, novelist, and short-story writer. 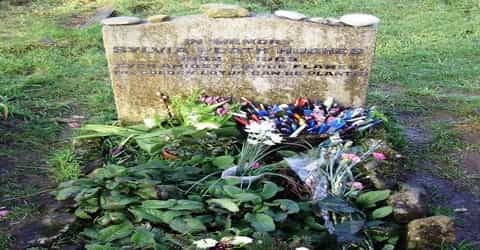 Sylvia Plath has been hailed as one of the most renowned and influential poets of the twentieth century, was born in Boston, Massachusetts, on October 27, 1932, to Otto and Aurelia Plath. Her father, a professor of biology (the study of plant and animal life) at Boston University and a well-respected authority on bees, died when she was eight years old. She studied at Smith College and Newnham College at the University of Cambridge before receiving acclaim as a poet and writer. She was also equally famous for her short stories and novel. She started writing early in her life and had her first poem published at the age of eight, her first national publication at the age of eighteen, and was selected a guest editor of ‘Mademoiselle’ at twenty. However, she failed to accept rejections in a healthy way and at the age of twenty-three unsuccessfully tried to commit suicide. Plath successfully completed her studies and went to England, where he met and married Ted Hughes. They first lived in the US, but later returned to England, where she continued to write. She had her first book of poems published at the age of twenty-eight. This was in fact, one of the only two books that were published in her lifetime; all others were published after her suicide at the age of thirty. 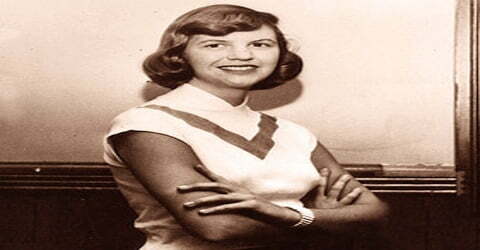 Sylvia Plath, pseudonym Victoria Lucas, was born on October 27, 1932, in Boston, Massachusetts. Her father, Otto Emil Plath, was a professor of biology at Boston University. Originally from Germany, he worked extensively on bees and became famous for his 1934 book, ‘Bumblebees and Their Ways.’ Her mother, Aurelia Schober Plath (1906–1994), was a second-generation American of Austrian descent. Plath lived in Winthrop with her mother and younger brother, Warren, until 1942. These early years gave her a powerful awareness of the beauty and terror of nature and a strong love and fear of the ocean. In 1942 her mother found a job as a teacher and purchased a house in Wellesley, Massachusetts, a respectable, middle-class, educational community that also influenced Plath’s life and values. Her first story, “And Summer Will Not Come Again,” was published in Seventeen magazine in August 1950. 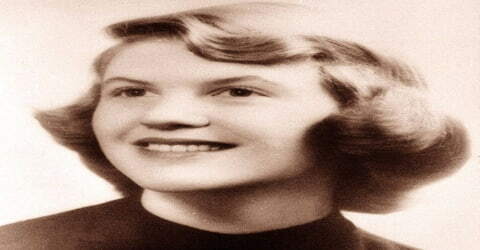 Plath attended Bradford Senior High School (now Wellesley High School) in Wellesley, graduating in 1950. Just after graduating from high school, she had her first national publication in the Christian Science Monitor. In 1950, Plath attended Smith College and excelled academically. There she once again excelled in her studies academically and socially. Referred to as “the golden girl” by teachers and peers, she planned her writing career in detail. She filled notebooks with stories and poems, shaping her words carefully and winning many awards. Her first article to be published in a national paper was ‘Youth’s Appeal for World Peace’; it came out in the 16 March 1950 edition of ‘Christian Science Monitor.’From that time, her work began to appear regularly in various national papers. I happened to be at Cambridge. I was sent there by the US government on a government grant. And I’d read some of Ted’s poems in this magazine and I was very impressed and I wanted to meet him. I went to this little celebration and that’s actually where we met… Then we saw a great deal of each other. Ted came back to Cambridge and suddenly we found ourselves getting married a few months later… We kept writing poems to each other. Then it just grew out of that, I guess, a feeling that we both were writing so much and having such a fine time doing it, we decided that this should keep on. 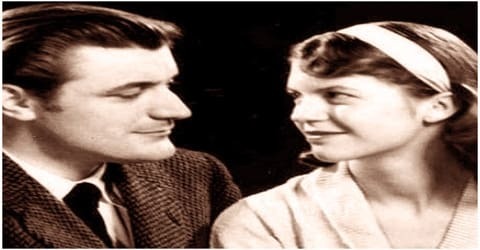 On June 16, 1956, Sylvia Plath married Ted Hughes. The couple had two children; Frieda and Nicholas. While Frieda grew up to be a poet and a painter, Nicholas became an expert in stream salmonid ecology. By January 1963, the weather became horribly cold and confined at home with no telephone, her depression increased to an alarming level. Although she had been consulting psychiatrists, the situation did not improve. In the early morning of February 11, 1963, Plath put some bread and milk in the children’s room and then sealed their door off with tape. She then locked herself in the kitchen and placed her head in the oven with the gas turned on, thus committing suicide. Her body was discovered later that day. Sylvia Plath published her first poem at age eight. She entered and won many literary contests, and, while still in high school, she sold her first poem to The Christian Science Monitor and her first short story to Seventeen magazine. In 1952, she won Mademoiselle’s college fiction contest for her story, ‘Sunday at the Mintons.’ Later in 1953, she was selected a guest editor of the magazine and spent the month of June working in New York. Her experiences in New York City were depressing and later became the basis for her novel The Bell Jar (1963). 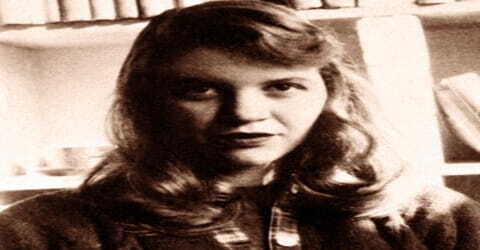 Upon her return home Plath, tired of her image as the All-American girl, suffered a serious mental breakdown, tried to kill herself, and was given shock treatments. In February 1953 she had recovered enough to return to Smith College. She graduated and won a Fulbright scholarship to Cambridge University in England, where she met her future husband, the poet Ted Hughes (1930–1998). They were married in June 1956 in London, England. In spite of the fact that Mademoiselle’s August issue featured several of her articles, including her poem ‘Mad Girl’s Love Song’, she began to feel that she had failed. On August 24, 1953, she made her first suicide attempt. She waited till everybody went out of the house, then she broke the lock of the medicine box and took out the sleeping pills and left a note saying she had gone out for a long walk. She then entered a crawl space and consumed forty sleeping pills. Fortunately, she was discovered alive in time. She spent the next six months in psychiatric care, which was sponsored by the American novelist and poet Olive Higgins Prouty. By April 1954, she had recovered enough to resume writing. Sometimes now she also went back to college. After Plath earned her graduate degree, she returned to America to accept a teaching position at Smith for the 1957–1958 school year. She quit after a year to devote all her time to writing. For a while, she attended a poetry course given by American poet Robert Lowell (1917–1977), where she met American poet Anne Sexton (1928–1974). Sexton’s and Lowell’s influences were important to her development as a poet. Both urged her to write about very private subjects. Plath and her husband were invited as writers-in-residence to Yaddo, in Saratoga Springs, New York, where they lived and worked for two months. It was here that Plath completed many of the poems collected in The Colossus (1960), her first volume of poems. In January 1955, she submitted her thesis, The Magic Mirror: A Study of the Double in Two of Dostoyevsky’s Novels, and in June graduated from Smith with highest honors. She obtained a Fulbright Scholarship to study at Newnham College, one of the two women-only colleges of the University of Cambridge in England, where she continued actively writing poetry and publishing her work in the student newspaper Varsity. At Newnham, she studied with Dorothea Krook, whom she held in high regard. She spent her first-year winter and spring holidays traveling around Europe. Plath’s landscape poetry, which she wrote throughout her life, has been described as “a rich and important area of her work that is often overlooked … some of the best of which was written about the Yorkshire moors.” Her September 1961 poem “Wuthering Heights” takes its title from the Emily Brontë novel, but its content and style is Plath’s own particular vision of the Pennine landscape. During her last three years, Plath abandoned the restraints and conventions that had bound much of her early work. She wrote with great speed, producing poems of stark self-revelation and confession. The anxiety, confusion, and doubt that haunted her were transmuted into verses of great power and pathos borne on flashes of incisive wit. Her poem “Daddy” and several others explore her conflicted relationship with her father, Otto Plath, who died when she was age eight. In 1963, after this burst of productivity, she took her own life. In 1963, after The Bell Jar was published, Plath began working on another literary work titled Double Exposure. It was never published and disappeared around 1970. Theories about what happened to the unfinished manuscript are repeatedly brought up in the book Sylvia Plath’s Fiction: A Critical Study by Luke Ferretter. Ferretter also claims that the rare books department at Smith College in Massachusetts has a secret copy of the work under seal. Ferretter believes that the draft of Double Exposure may have been destroyed, stolen, or even lost. Plath’s fellow confessional poet and friend Anne Sexton commented: “Sylvia and I would talk at length about our first suicide, in detail and in depth between the free potato chips. Suicide is, after all, the opposite of the poem. Sylvia and I often talked opposites. We talked death with burned-up intensity, both of us drawn to it like moths to an electric light bulb, sucking on it. She told the story of her first suicide in sweet and loving detail, and her description in The Bell Jar is just that same story.” The confessional interpretation of Plath’s work has led to some dismissing certain aspects of her work as an exposition of sentimentalist melodrama; in 2010, for example, Theodore Dalrymple asserted that Plath had been the “patron saint of self-dramatization” and of self-pity. Revisionist critics such as Tracy Brain have, however, argued against a tightly autobiographical interpretation of Plath’s material. Sylvia Plath is best remembered for ‘Ariel’, a book of poems published posthumously in 1965. The poems, written during the last phase of her life, shook her readers and earned her the fame she had been yearning for all her life. Today many critics describe it as the beginning of a new movement. In later poetry published after her death in Crossing The Water (1971) and Winter Trees (1971), Plath voiced her long-hidden rage over “years of doubleness, smiles, and compromise.” A more complete look into Plath’s tortured mind was possible following the publication in 2002 of The Unabridged Journals of Sylvia Plath, 1950–1962. In1982, Sylvia Plath was posthumously awarded the Pulitzer Prize for her book ‘The Collected Poems.’The poems were collected by Ted Hughes and published in 1981. In 2012, The United States Postal Service introduced a postage stamp featuring Sylvia Plath. Before her death, Plath tried several times to take her own life. 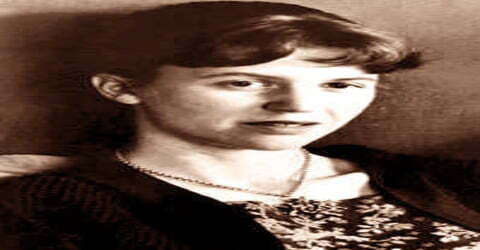 On August 24, 1953, Plath overdosed on pills in the cellar of her mother’s home. In June 1962, Plath drove her car off the side of the road, into a river, which she later said was an attempt to take her own life. In the early morning of February 11, 1963, Plath put some bread and milk in the children’s room and then sealed their door off with tape. She then locked herself in the kitchen and placed her head in the oven with the gas turned on, thus committing suicide. Her body was discovered later that day. She was 30 years old. Many of Plath’s posthumous publications were compiled by Hughes, who became the executor of her estate. However, controversy surrounded both the estate’s management of her work’s copyright and his editing practices, especially when he revealed that he had destroyed the last journals written prior to her suicide.